In many ways the march toward driverless cars is in lockstep with the march toward improved Lidar sensors. 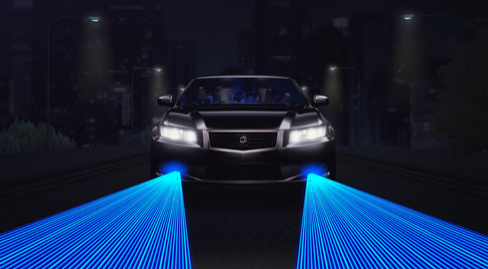 The industry leader, Velodyne — the same company that pioneered Lidar in autonomous vehicles — continues to raise the bar. The company recently unveiled a new sensor with 128 laser channels and halved the price for its most popular sensor. But there are plenty of other outfits out there trying to chase Velodyne down. Lidar startup Ouster recently emerged from stealth mode with $27 million in funding and a high-performance sensor that it touts as lightweight and affordable. TetraVue raised $10 million earlier this year on the strength of its flash Lidar, which the company believes outperforms traditional Lidar. Even Apple has been looking for ways to optimize the technology’s performance. One of the biggest challenges to Velodyne’s Lidar supremacy is Innoviz. Founded in 2016, the Israeli company quickly rose to prominence with solid-state Lidar offerings known for performance, reliability and affordability. After an initial announcement in May of last year, Innoviz recently released its long-awaited InnovizPro. Solid-state Lidar is widely viewed as the future of the sensor technology. Integrating all of the Lidar functionality into a single microchip eliminates the mechanical parts which are prone to failure. Since one of the biggest concerns with all Lidar sensors is their price, autonomous vehicle developers aren’t going to want to invest in one that could break down faster. By creating a reliable solid-state sensor and cutting the cost, Innoviz co-founder and CEO Omar Keilaf believes he has a solution the market will love. The award comes on the heels of news that Aptiv (previously Delphi Automotive) and Magna International had established separate partnerships to utilize Innoviz’s sensor technology. In October, Innoviz closed a $73 million Series B funding round that included major contributions from Aptiv and Magna.